Pink Root is caused by the soil-borne fungal pathogen, Phoma terrestris (syn. Pyrenochaeta terrestris), and is a serious problem for multiple onion growers. This disease can cause significant reductions in crop yields and quality in many onion growing regions of South Africa. As the name suggests, pink root reflects the most obvious symptom of this disease. The roots of infected bulbs first become light pink in colour (Figure 1A) and depending on the extent of the infection, the colour of the root tissue gradually becomes more intense changing from pink to red and finally deep purple-brown (Figure 1B). After these colour changes, the roots shrivel up, start disintegrating and eventually dies. Figure 1. (A) the initial stages of a pink root infection; (B) deep purple and shrivelled up roots from a pink root susceptible cultivar. Plants with severe pink root infections appear to suffer from nutrient deficiencies or lack of water (drought conditions), and the leaves turn white, yellow or brown starting at the tips and eventually die (leaf tip dieback; Figure 2 and Figure 3). Leaf number and size are reduced and the plants are easily uprooted. Plants infected early in the season start bulbing prematurely and show more damage than those infected later in the growing season. Bulbs from infected plants are usually undersized (low yield) and of reduced market value (poor quality). Figure 2. Leaf tip dieback/necrosis (indicated by red arrows) are secondary symptoms of a pink root infection. Figure 3. Leaf tip dieback on pink root susceptible and resistant cultivars from an infected field – note the degree of tip dieback on the susceptible (yellow leaf tips) and resistant (green leaves) cultivars. The resistant cultivar (only three beds) used in this field was Sakata’s F1 hybrid, Hoshi*. The fungus is generally considered ubiquitous and survive in the soil in the form of dormant spores or in diseased roots and plant debris of susceptible crops for several years. The fungus can be spread through soil movement and in surface water. Infection occurs when onion roots come into contact with the fungus. 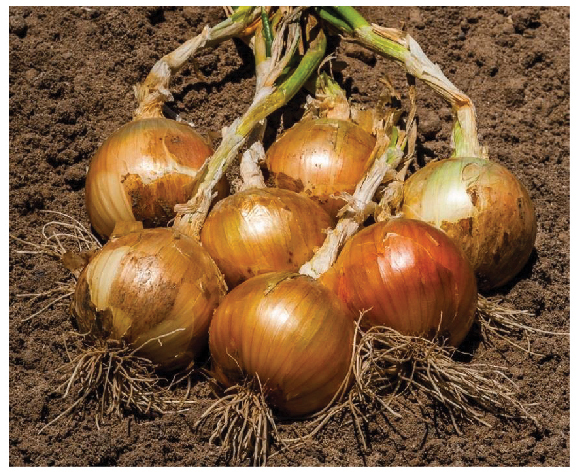 Pink root can develop at all soil moisture levels that accommodate onion growth. 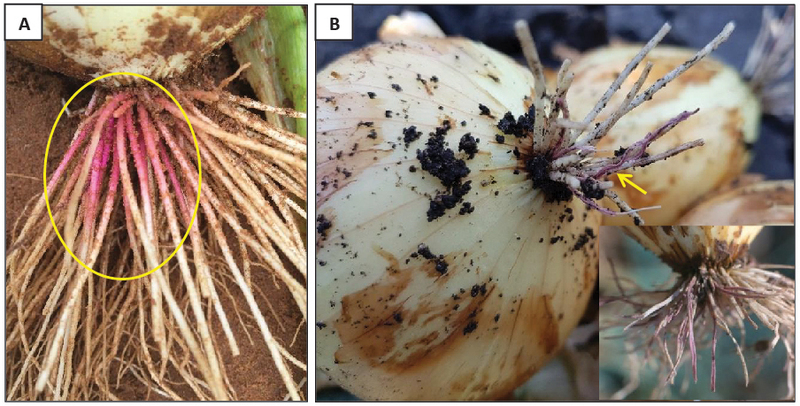 This pathogen will attack healthy crops in very warm onion growing regions, however, the optimum temperature range for growth and disease development of this pathogen is between 24-28°C. Little disease will develop when temperatures drop below 16°C. Because pink root doesn’t attack the bulbs base, the plant continues to develop new roots which are then also infected and ultimately killed by the fungus. When plants are heavily infected there will be few or no healthy roots remaining (Figure 4), resulting in retarded growth and reduced yields. Fortunately, pink root doesn’t continue in storage. Figure 4. Suppressed and shrivelled roots from a susceptible onion cultivar and healthy roots from Sakata’s pink root resistant cultivar, Hoshi*. A cultivar’s resistance may be overcome if soil temperatures exceeds 28°C. 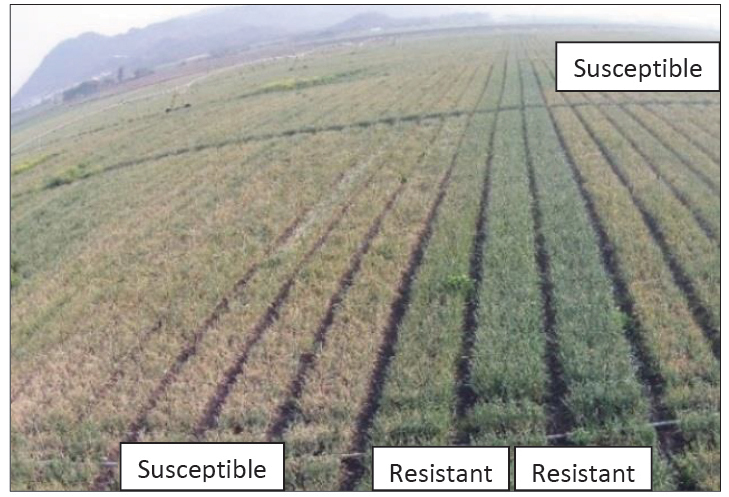 Older roots of resistant cultivars will also display the pink colour due to fungal infection as the roots senesce, however, resistant cultivars suffer very little loss of yield in the presence of the pathogen. Schedule sowings so the bulk of the root growth occurs prior to reaching soil temperatures that favour disease development – this could minimise severe losses from this disease. Apply a long term rotation of four to six years with non-host crops, such as cereals, helps reduce losses. Grow onions in fertile, well-drained soil. 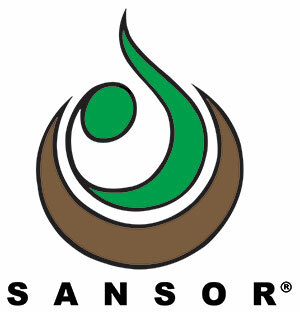 Soil solarisation or fumigation can help to reduce and control pink root. Uproot all affected plants and remove them from the field. Figure 5. One of Sakata’s short day onion hybrids, Hoshi* has high resistance to pink root (Phoma terrestris syn. Pyrenochaeta terrestris) and Basal rot (Fusarium oxysporum f. sp. cepae). Hoshi’s* external qualities include; uniform, firm, globe shaped bulbs with thin and refined necks. Bulbs have two to three scale leaves, each with an attractive straw to golden brown colour. *Experimental: This variety does not appear on the current South African Variety list, but has been submitted for registration. DISCLAIMER: This information is based on our observations and/or information from other sources. As crop performance depends on the interaction between the genetic potential of the seed, its physiological characteristics, and the environment, including management, we give no warranty express or implied, for the performance of crops relative to the information given nor do we accept any liability for any loss, direct or consequential, that may arise from whatsoever cause. Please read the Sakata Seed Southern Africa (Pty) Ltd Conditions of Sale before ordering seed. © Copyright 2018 Sakata Seed South Africa. All rights Reserved.